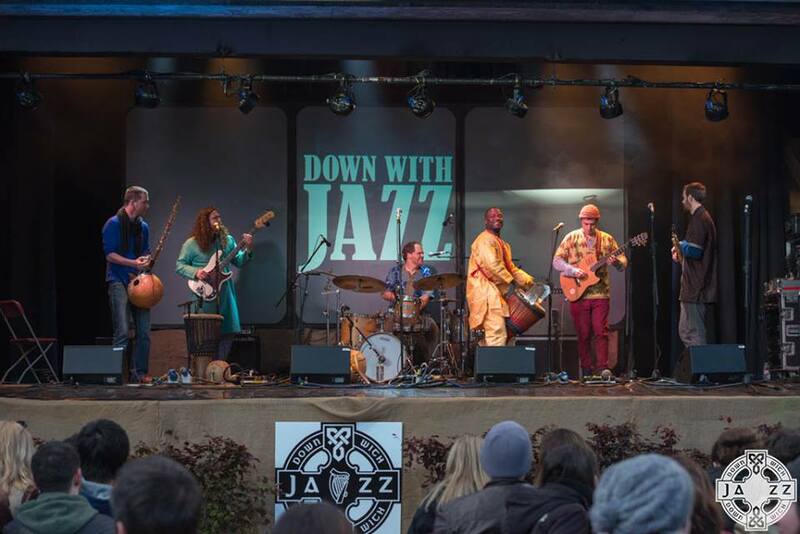 ‘Sidiki Dembele Sextet was one of the stand out performances at Down With Jazz 2015. The audience was enamoured with the high-energy performance and infectious rhythms of this group, led by the extremely charismatic and entertaining Sidiki. An ideal summer festival booking.’ Down With Jazz Festival. 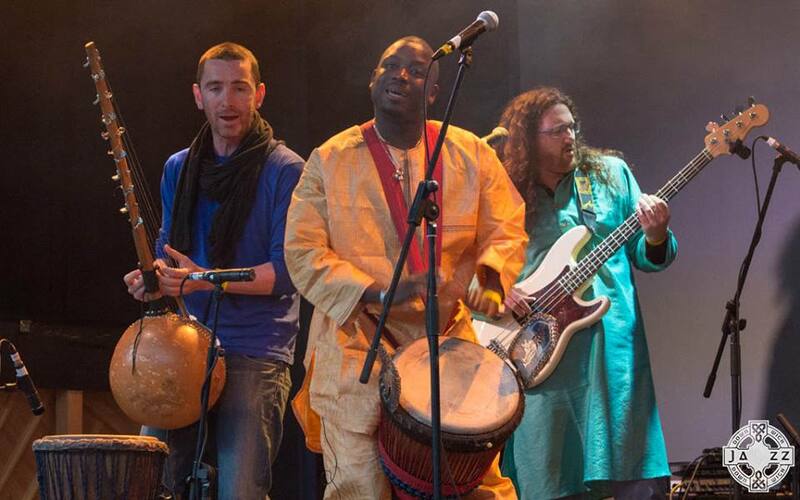 In June 2015 Afro-Eire invited Griot Master drummer Sidiki Dembele from Cote d’Ivoire, West Africa to Ireland to to collaborate with members of Manden Express and some of Irelands top jazz musicians. The culmination of the project was a performance at the Down With Jazz festival in Meeting House Square, Temple Bar, Dublin organised by the Improvised Music Company. The Sidiki Dembele Sextet wowed audiences again in 2016 with their performance at the Main stage Africa Day Dublin, at Farmleigh House, Pheonix Park, Dublin. Born in Abidjan, the commercial capital of Cote d’Ivoire, Sidiki is the second son of a Griot family. The Griot tradition is one which has spanned centuries of civilisation in West Africa, and has been passed down through the generations, carrying with it an ancient culture of story-telling, communication and celebration. Sidiki commenced playing percussion professionally at the age of fourteen, forming his own group Denifari at the age of sixteen. As well as a master Djembefola Sidiki is a talented performer of the balafon, n’goni and Kamele n’goni which were passed down to him through his family. In 2007 he was selected as lead percussion soloist from amongst Cote d’Ivoire’s best djembefolas for the concept circus show Afrika!Afrika!, where he caught the eye of the celebrated choreographer Georges Momboye. He is currently musical director for the UK based group Ballet Nimba.